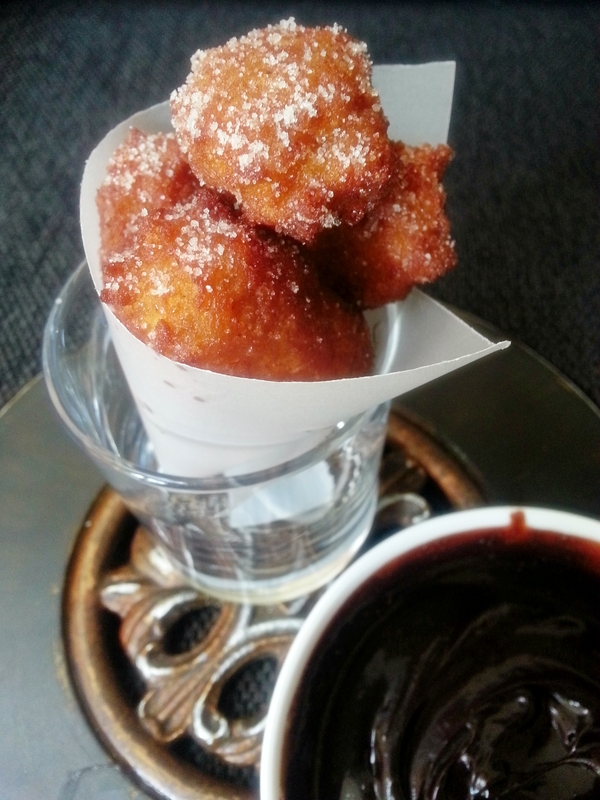 Mix the sugar and cinnamon for the churros in a wide, shallow dish and set aside. ( This is for shaking the cooked churros in, to coat them later). Melt all the chocolate sauce ingredients in a heavy based saucepan, really gently and once the chocolate starts to melt stir everything together and take off the heat and set aside. To make the churro, put the flour in a large bowl and stir in the baking powder and beat in the olive oil, vanilla extract and 250ml freshly boiled water. Keep mixing until you have a warm sticky dough leave it to rest for 10 minutes or as long as it takes for the vegetable oil to heat up. Heat the oil for frying in a small saucepan, it should come about a third of the way up the sides of the pan. When you think the oil is hot enough, load up a piping bag with a large star-shaped nozzle and fill the churro dough. Squeeze short lengths of dough into the hot oil, snipping them off with a pair of scissors as you go. Cook about 3 or 4 at a time and once they turn a rich golden brown, fish them out of the oil onto a kitchen roll. Toss all the hot churros into the sugar and cinnamon and shake them about to get a good covering. 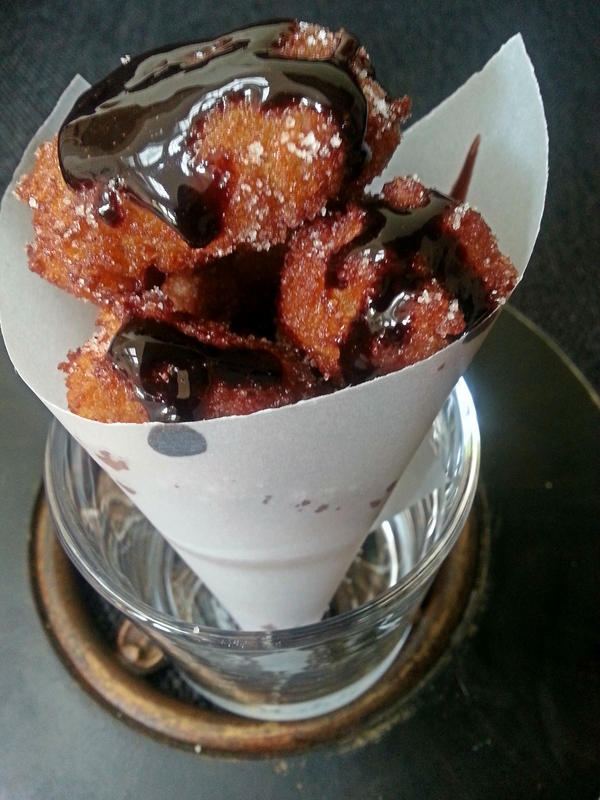 Once you have finished making the churros, pour the chocolate sauce into individual pots and dip and dunk away. Reblogged this on Reliable Recipe. I have heard a lot about Churros. However, I have never eaten any. I think time has come for me to make it. I have heard of churros but have never eaten nor tried at home. Have to make them sometime in the near future! Hi, thanks for liking the churro recipe they are really yum!